Posted April 5, 2019 by Lars Knobloch & filed under Nordic In The Press. Do you ever find a few moldy spots on the ends of your bread loaf? It’s terrifying isn’t it? Well, imagine finding mold hiding in your home for several years. This is a common problem in plenty of homes because home owners either neglect the issue, or they don’t get a thorough home inspection. Mold is a fungus that grows due to high condensation and moisture in places where you may not expect it. Of course, we know it can grow on food that has been left in the refrigerator for too long. But our homes can be invaded by mold without proper maintenance or inspection as well. You never want to ignore the problem because it can cause major problems to your home and your health. What Causes it to Grow in the House? The epitome of the cause is too much moisture. With the weather and season changes in North Dakota, we find more evidence of mold because of the dampness in the summer from humidity, and the condensation in the winter. Especially now, with drastic changes in the weather, it is more common to grow and fester. Most home owners don’t realize that even with a newer home, mold can be a big problem if the home inspection wasn’t done the correct way, or the builder made a mistake at the beginning. Lars Knobloch from Nordic Home Inspection deals with a plethora of mold cases on the daily. Lars states, “Mold really grows well in dark areas.” He has found mold in dark places of the basement, and even the attic since most owners never even step foot in their attic. It can cause health issues because it can contaminate the air. 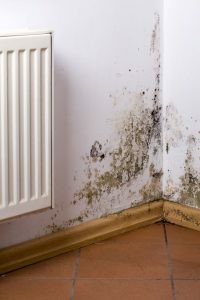 Younger children and the elderly may have worse reactions to the mold even when they can’t see it growing. The issues could be breathing problems, flu symptoms, and other irritations to your health. Lars is a certified home inspector with nearly 10 years of experience with home inspection dealing with mold. He conducts a detailed investigation into the home, and he looks for small issues, as well as bigger problems that if ignored, can put a dent in your bank account. He catches the mold before it can become a squatter in your house. If you believe there is a mold problem in your home, whether you have health problems or a bad smell, contact Lars Knobloch with Nordic Home Inspection at 701-566-1446.